You are going to Watch Fairy Tail Episode 94 English dubbed online free episodes with HQ / high quality. 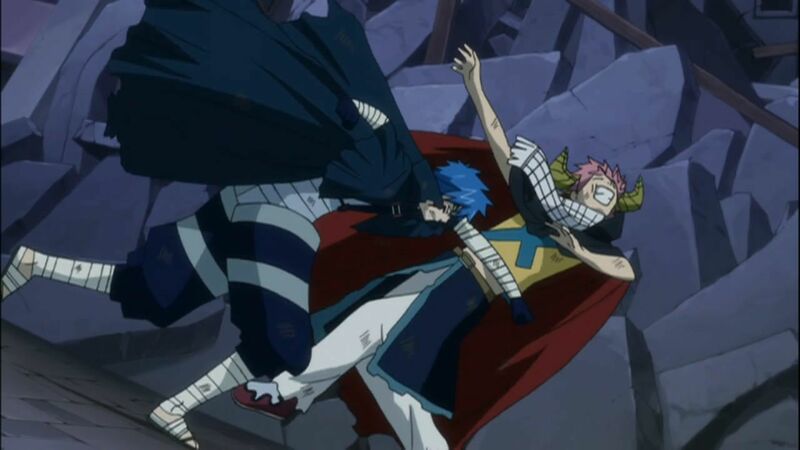 Stream Anime Fairy Tail Episode 94 Online English dub Bye-Bye Edolas. Out of devotion, Pantherlily refuses to accept Mystogan’s plan, but they soon find that Natsu, Wendy, and Gajeel have captured Faust and begun a riot. When Mystogan confronts Natsu and defeats him, Mystogan is revealed to be the Prince of Edolas to the people. As the reversed Anima teleports the Earthland wizards and the Exceed to Earthland, everyone says their goodbyes and disappears, while Mystogan remains behind, heralded as the new leader of Edolas. 4.8 / 5 - 90 ratings.